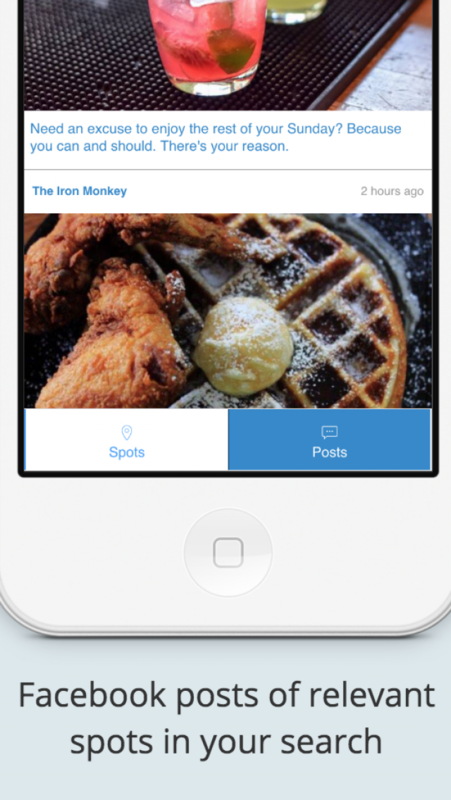 SpotPost combines information from Google Places, Facebook Posts, Foursquare Venues, Sqoot Deals and Yelp Businesses to give you a closer look at spots around you as well as all over the world. 1. Quickly find Spots around you by tapping on quick buttons or anywhere in the world using the autocomplete search functionality. 2. See Posts from relevant Facebook Pages in the search area to get more insight into happy hours , live music, specials, events etc. 3. 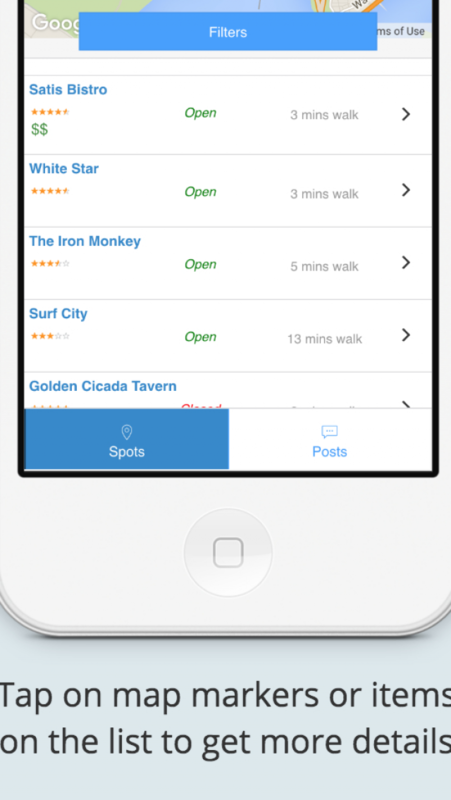 Quickly find important information and take action on route, uber availability and cost estimate, menu, reservations etc right from the spot screen. 4. 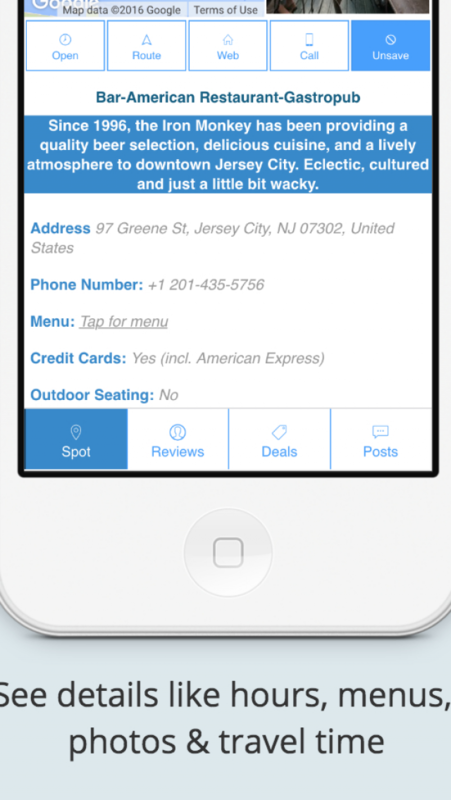 Look at ratings & highlights of reviews and tips from Foursquare, Google and Yelp all in one screen. Tap on the ratings icons to go to the respective review pages to get more details. Not all spots have reviews everywhere but between the 3 of them, there is a very good chance you will find something. 5. Look at specials and deals in and around the Spot. If the spot has a deal(s), that would show up first, followed by deals from other spots around there. You can directly link to the deals from this screen. Sqoot aggregates deals from major websites like Groupon, Yelp, LivingSocial, Goldstar, Gilt etc to give you the latest deals around a spot.